THE EBENEZER PLACE 148A, Ikeja Way Off Association Road Dolphin Estate,Ikoyi, Lagos. Imperial E-trader is an on-line trading platform with ease and speedy execution that provides world class trading opportunities. With Imperialetrader.com, you can trade your securities online, in real time with as little as a minimum account opening balance of N5,000 only from wherever you are. Enjoy ease and speedy execution of your buy and sell of shares on the floor of The Nigerian Stock Exchange. Receive instant trade alerts via SMS and email. Get instant execution of trades on the market No delays means you can take positions on the go. Trade Anywhere Trade without restriction of boarders. 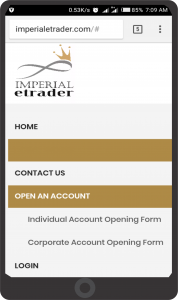 Imperialetrader.com is an online trading and investment management portal provided by Imperial Asset Managers Limited that allows investors/users trade securities and other investment products, in real time with no minimum account opening balance from anywhere they are with an internet enabled device. 2. Why choose Imperialetrader.com ? Initiate trade orders from anywhere in the world. 24/7 access to all your various investment accounts in one place. Convenience and control over your Investment. 3. How do I know that my order has been executed? You will receive an automated, system generated and system-sent email of your contract notes as soon as your mandate is executed. 4. What are the requirements to use Imperialetrader.com? 5. What are the benefits of Imperialetrader.com? Direct access to your account. 6. How can I make payments? Payments can either be made online from the website using VISA, Mastercard and Interswitch enabled debit cards or by making a payment into our bank account either physically or by using an online transfer method. 7. How do I begin to use Imperialetrader.com? Log on to our site: www.imperialetrader.com, complete the online form. 8. What are the basic documentations required to open my account? 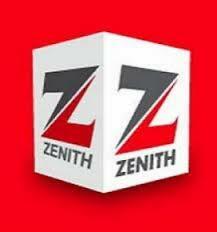 Means of identification which could be any of driver’s license, international passport or national identity card. 9. Can I submit my certificates or stale warrants for revalidation? Yes, but at a fee. Original certificates or stale warrants would have to be sent to our office. However, we advise our clients to complete e-bonus and e-dividends forms. 10. How do I send in mandates? 11. Do I receive alerts on my transactions executed? Yes. Any transaction carried out on your account will be communicated to you either via email or text message. In addition, upon execution of any mandates, a Contract Note will be sent to you via email giving you details of the transaction executed on your behalf. 12. Who is eligible to be on this platform? 13. What happens after opening an account online? Upon submission of your form, you will receive an automated email confirming that we have received your form and documents. You will be notified of an opened CSCS account not later than 48hrs of completing the form after which you may proceed to fund your account and start trading. 14. Can I transfer my account from my present Stock broker to Imperial Asset Managers Limited? Yes, you can transfer your account from one stockbroking house to another. This has been made very easy by the CSCS, and this happens at no cost. Please send an email to customercare@imperialasset.com.ng for more information on this. 15. Who will manage my account? Effectively Imperialetrader.com puts you in complete control of your investment decisions. As a user of Imperialetrader.com, you get direct market access and real time trade processing, as well as access to live data feeds from The Exchange. You are in complete control of your investment accounts. 17. I am not in Nigeria; can I open an account via Imperiaetrader.com? Yes, you can have an account via Imperialetrader.com and be very active from any part of the world. 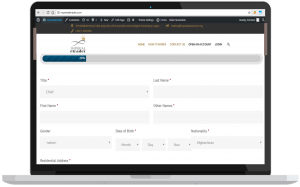 We currently have clients that are not within the country including clients in the oil and gas sector who work offshore all have access to their brokerage accounts as long as they have access to the internet.